Buy five or more items and get 10% discount. 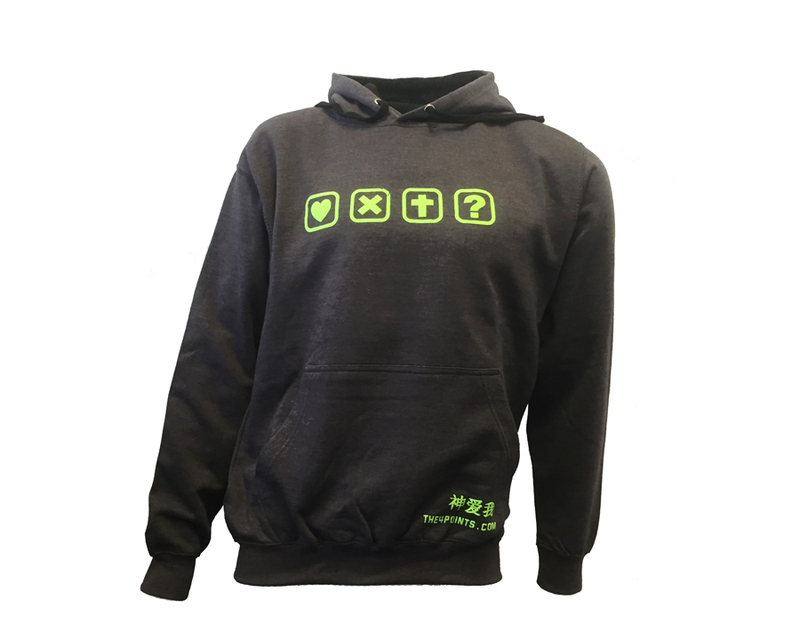 Wear and share the gospel with our brand new Charcoal Grey Varsity hoodie carrying THE4POINTS logo in fluorescent green with tag-style script on the bottom left side with Chinese symbols meaning God Loves Me. This hoodie includes an internal aperture to allow headphones to be run up inside.